For this week’s giveaway, we’ve teamed up with Sena to offer MacRumors readers a chance to win one of the company’s Snap-On Wallet cases for the iPhone 7 or the iPhone 7 Plus. Priced at $49.95, the Snap-On Wallet is a thin high-quality leather case that’s wrapped around a flexible DuroFlex frame to protect the iPhone while also offering two slots that can house credit cards or a driver’s license. It’s Sena’s thinnest, most minimal wallet case. The Snap-On Wallet is made from full-grain leather and comes in five rich colors: Gray, Toffee, Cognac, Black and Denim. It includes precision cutouts that leave all ports accessible, plus button covers for the volume and power buttons. Inside the Snap-On Wallet is a herringbone lining that keeps the iPhone safe from scratches and there’s a lip around the front that protects the display when it’s placed face down on a surface. 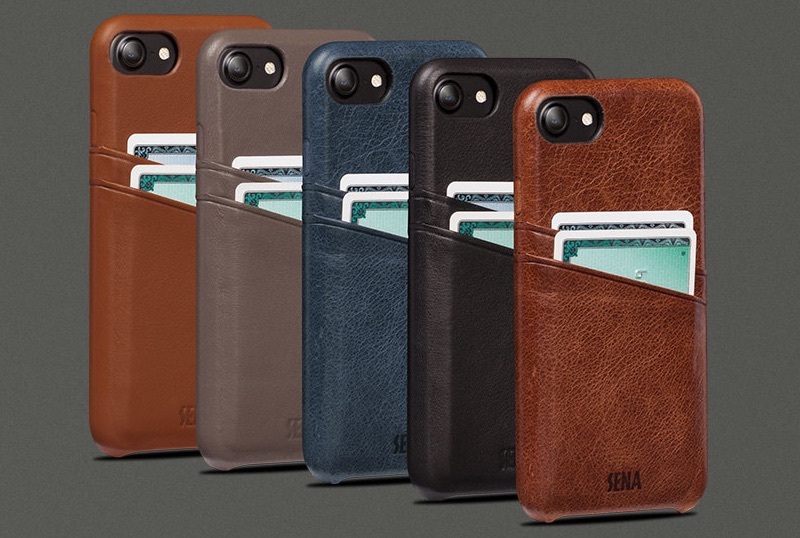 Sena is providing 10 Snap-On Wallet cases to MacRumors readers, for either the iPhone 7 or the iPhone 7 Plus. To enter to win, use the Rafflecopter widget below and enter an email address. Email addresses will be used solely for contact purposes to reach the winners and send the prizes. You can earn additional entries by subscribing to our weekly newsletter, subscribing to our YouTube channel, following us on Twitter, or visiting the MacRumors Facebook page. a Rafflecopter giveawayDue to the complexities of international laws regarding giveaways, only U.S. residents who are 18 years of age or older are eligible to enter. To offer feedback or get more information on the giveaway restrictions, please refer to our Site Feedback section, as that is where discussion of the rules will be redirected. The contest will run from today (October 14) at 11:00 a.m. Pacific Time through 11:00 a.m. Pacific Time on October 21. The winners will be chosen randomly on October 21 and will be contacted by email. The winners will have 48 hours to respond and provide a shipping address before new winners are chosen. The smart way of losing not only your iPhone but also your credit card and your driver's license, lol. Humanity is all stuck on their phone screens...more likely to lose your kids before you lose your phone. Super convenient. The guy who stole your phone now has your wallet too. There are definitely people who will appreciate this. But iPhone and Apple pay means we give up the wallet and cards don't it? 1980 called and wants you to stop cutting up "corinthian" leather couches and turning them into cases. Corrreenthian leather? You just dated yourself. And well, so did I. I remember the Ricardo Montalban commercials when I was really young. Not a fan of leather pieces at all for environmental and aesthetic reasons, there are so much more interesting and better things that can be done with natural grown fibres in the case making space, tip for the entrepreneurs. Given Apple's hippy beginnings, I'm surprised Apple doesn't make a range of high quality natural fibre cases that protect impacts and look damn good. Where's the love for things fun and different gone with Apple.